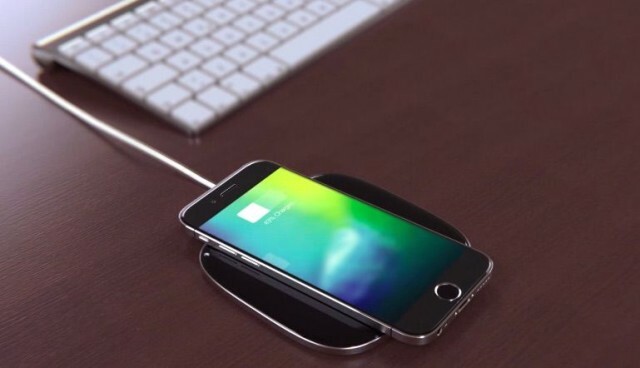 This iPhone 7 concept comes with a special wireless dock. It’s iPhone rumor season which means concept artists are busting out their best guesses as to what Jony Ive’s next smartphone design changes might entail. We’ve already seen some super thin iPhone redesigns, but concept designers Ivo Marić and Tomislav have taken a different approach. Instead of changing the iPhone’s form factor, the designers’ iPhone 7 concept looks just like an iPhone 6. It comes with all the features we’d expect to see — sapphire glass, an A10 processor, 16 Megapixel camera sensor, QHD Retina display — but the duo have dreamed up a super special wireless dock that does a lot more than just wireless charging. This entry was posted in iRumors and tagged concept, iPhone 7, irumors, iRumorsnow. Bookmark the permalink. eMail Widget lets you view and manage your inbox from Notification Center. Touch ID will let your Apple TV know which family member is watching.